Note: You can view all functions at the Functions reference for Workflow Definition Language. You will see a typical example of categories above has multiple values. None of which are 'Windows Desktop'. 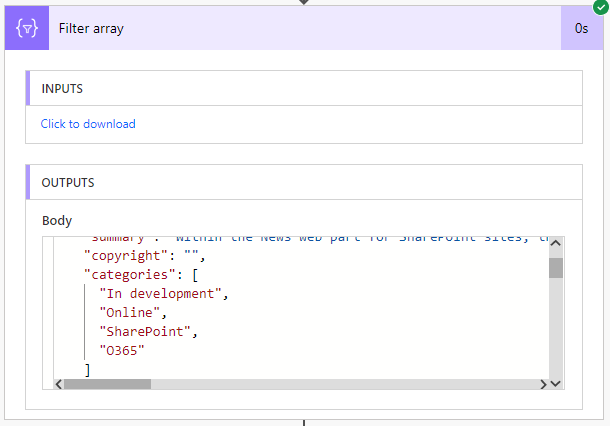 You can investigate the output more in this example by visiting Code Beautify and loading the Microsoft 365 Roadmapp RSS feed.